The Arabian Sea basin represents a minor component of global total cyclones annually and has not featured so prominently in cyclone research compared with other basins where greater numbers of cyclones are registered each year. This paper presents the results of exploratory analysis of various features of cyclone tracks in the Arabian Sea, with a particular focus on examining their temporal and spatial patterns. Track morphometry also reveals further information on track shape. 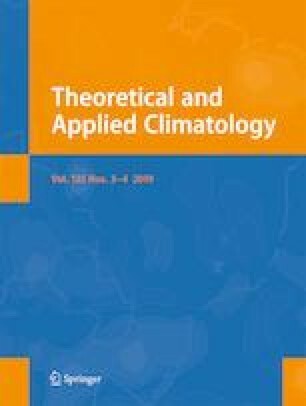 The study indicates how cyclones spawned during May in the early pre-monsoon period (often strong events) have a tendency to follow more sinuous tracks, whereas cyclones occurring in October in the post-monsoon period tend to follow straighter tracks. Track sinuosity is significantly related to other attributes, including cyclone longevity and intensity. Comparisons are also drawn between the general characteristics of cyclone tracks in the Arabian Sea and other ocean basins, suggesting how the size and geography of the Arabian Sea basin exert influences on these characteristics. J Terry duly acknowledges research funding support from Zayed University through Provost’s Research Fellowship award no. R17095. Helpful comments on the original manuscript were provided by an anonymous reviewer.